The executive director of an organization that is seeking to tap the energies of Mexicans returning to their homeland after living in the United States said Tuesday that mass movement from Mexico to the United States has come to an end. "We can confidently declare the end of that era, and we recognize a new era of return migration, with record numbers returning and fewer coming to the United States," said Aracely Garcia Granados at the Woodrow Wilson International Center for Scholars. Granados is the director of Mexicans and Americans Thinking Together, which has offices in Mexico City and San Antonio. On its website, MATT describes itself as "a bi-national non-profit organization focused on building cultural and economic links between the United States and Mexico." Granados spoke after the Mexican ambassador to the United States cited Mexico's reduced birth rate as the principal reason it "will not be a major source of immigrants to the United States in the future." While Mexican women in 1960 had an average of seven children, that figure had dropped to 2.2 children by 2012, he said. Ambassador Eduardo Medina-Mora also said that those returning to Mexico after living in the United States have the potential to provide entrepreneurial energy for economic development in Mexico. 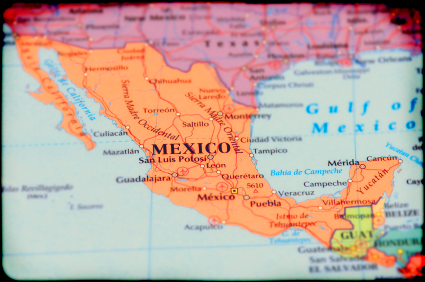 Thirty-seven percent of those surveyed said they were returning to rejoin their families, she said, while 30 percent reported nostalgia for Mexico's culture, including its food and music. When someone in the audience noted that such factors have always been present among Mexican migrants, Granados said she could not say if those influences had become more important in recent years as the return migration grew. Eleven percent reported that they had been deported to Mexico. An additional 11 percent said they left the United States because they could not find work. And 1.7 percent cited discrimination as motivating their return. Fifty-four percent said they intend to remain in Mexico, while 30 percent would like to return to the United States and 17 percent said they will never return to the United States. The survey was conducted in collaboration with Southern Methodist University and the state of Jalisco. MATT has formed another organization, Yo Soy Mexico (I Am Mexico), which seeks to match the talents of returning migrants with opportunities in Mexico. One particularly interesting feature of the MATT website is a 37-second video of five Mexicans who initially talk about their lack of faith in Mexico but then express the conviction that "I am Mexico" and that the country needs their talents and energies.